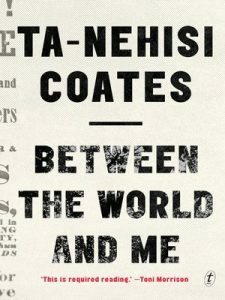 How should a white Christian like me read Ta-Nehisi Coates’ Between the World and Me, a book written by a black atheist? With ears open and a heart willing to learn. That is, we should come first as students. When first exposed to a subject, whether chemistry or theology or, in this case, the experience of being black in America, initial forays into that subject feel foreign to the student. It feels as if she has landed among an exotic people speaking a foreign tongue. The words are all new, and the questions being asked and explored are ones she has never before considered. A good student’s response will be to listen, to be quiet, to learn the language, and to hear how the questions are being answered. In Between the World and Me Coates speaks to his son but aims his words to we who listen in. As he traces his own awakening self-awareness as a black man from the streets of Baltimore, to a student at Howard University, to a writer in New York City, he provides an engagingly written assessment of life as he has seen it and the world as he has struggled to understand it. His assessment seems at times harsh, at times unfair, at times insightful, and at all times challenging. It was Trayvon Martin’s ‘error’ of walking through a white neighborhood in a hoodie, for example, that got him shot. The price of error is higher for the black man. That sounds right. I have read and thought too little about the subjects he raises to be able to offer an informed critique of the book. I leave that to others. But we who live lives in an aura of safety and comfort are in need of this education, foreign though it may seem and feel. Our job may be in this case to be quiet and to listen. We need to allow new questions to form in our minds and be considered. This could be the beginning of our education. A thumbs-up to your commentary. It spurs me on to reread this very important book. It serves to remind me to not grow complacent in my understanding of and support for those who live and continue to live the experience of being Black in America. And the book is short, a virtue far too many books lack! Thanks for the thumbs up. Thanks for sharing your insights. I am teaching this book starting next week to a class that is majority white, with a few people of color to mix things up a little bit. I have been praying a lot that the conversation will be fruitful and that I’ll know how to manage expectations so that real, deep learning can happen. We started with Twelve Years A Slave, are currently marching quick-step through speeches from Frederick Douglass, MLK, Jr, and James Baldwin this week, and next week we open with the introduction from The New Jim Crow by Michelle Alexander to set-up Coates’s story. On a side note, you may want to consider picking up a copy of Daniel Hill’s recent book White Awake. I heard him speak at the Christian Community Development Association conference earlier this month and it was very challenging. His words are a helpful guide into learning to be aware of our own whiteness as a way of humbling meeting our brothers and sisters of color in the freedom and challenge of the Gospel.